UpToDate now says high fat dairy OK! Despite mounting evidence to the contrary, mainstream nutritional guidelines have, for the last 30 years, instructed Americans to reduce fat and, more specifically, saturated fat in their diets. As I have written here and here, that advice is not supported by the bulk of evidence and is being challenged. Despite this, the USDA guidelines and the American Heart Association guidelines continue to recommend reducing fat intake. His post, entitled “We no longer recommend avoiding saturated fats per se” provides an outstanding summary of the importance of the change and I highly recommend reading it. the 4 most frequently used resources were online journals (46%), PubMed/MEDLINE (42%), UpToDate(40%), and online books (30%). The overall rating for UpToDate was high due to the large proportion of residents who reported using this resource (77%). My hospital pays for a subscription to UpToDate and the medical staff and residents (doctors in training) use it very frequently to access the latest information on preventing, diagnosing and treating diseases. Hopefully, since the residents represent the future of medicine, these changed dietary recommendations will become more widespread and become the dominant nutritional message to the public. “Although it is known that there is a continuous graded relationship between serum cholesterol concentration and coronary heart disease (CHD), and that dietary intake of saturated fats raises total serum cholesterol, a 2014 meta-analysis of prospective observational studies found no association between intake of saturated fat and risk for CHD. The meta-analysis also found no relationship between monounsaturated fat intake and CHD, but suggested a reduction in CHD with higher intake of omega-3 polyunsaturated fats; a benefit with omega-6 polyunsaturated fats remains uncertain. Given these results, we no longer suggest avoiding saturated fats per se, although many foods high in saturated fats are less healthy than foods containing lower levels. I’m particularly happy to see this change with respect to dairy products because I think the switch to non or low fat diary has been deleterious to Americans’ health and is not supported by data. 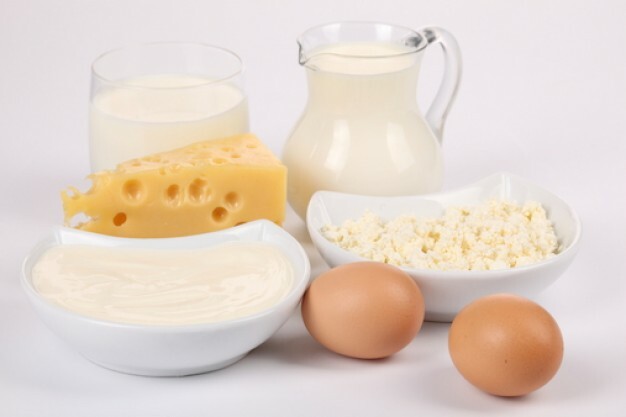 Today, blaming the rising incidence of coronary heart disease 40-50 years ago on the intake of red meat, whole-fat milk, cheese, cream, butter and eggs appears naive at best. To condemn one macronutrient and suggest it be replaced with another, without having any scientific evidence that such and intervention is helpful, would today be considered careless and irresponsible. Sticking with the same conclusion for 40 years, despite abundant contradictory evidence is shocking and hard to understand. Hopefully, UpToDate’s recent reconsideration of the issue is a sign that the tide is turning. Of course, there’s no reason to promote high consumption of saturated fats and surely there will often be healthier options. However, it’s time we stop telling people that avoiding saturated fats may protect them from heart disease. Why should we say such a thing if it’s not supported by evidence? It will be interesting to see how public authorities such as the American Heart Association will react to recent scientific evidence on the proposed link between saturated fats and coronary artery disease. Will we see a change in the forthcoming 2015 version of The Dietary Guidelines for Americans? Will their approach be evidence-based or not? Will they accept that red meat, whole-fat milk, cheese, cream, butter and eggs can be a part of a healthy diet? Will they reconsider their recommendations as UpToDate has now officially done? Only time will tell.